Summer is officially over and it is now the perfect time to take a romantic vacation with your significant other to some of the most breathtaking fall foliage spots around the U.S. From magnificent scenery, to apple picking in the orchards, leading online travel agency CheapOair is offering vacation deals to a variety of top hotels, starting as low as $607 per person. Autumn brings a sense of serenity to Aspen with its high mountainous views. 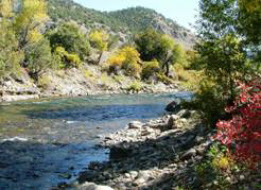 Here, the two of you can take a drive along the Colorado River to watch the leaves change colors. CheapOair is offering vacation deals from Los Angeles to Aspen starting at $1,071 per person. The package includes roundtrip airfare and a 3 night/4 day stay at the Viceroy Snowmass. *Sample hotel rate listed for travel from September 27 to September 30, 2013 and is based on availability; additional dates and locations available. Taxes and service fees included. Sample airfare is listed from Los Angeles to Aspen. 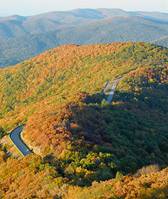 Fall is one of the most beautiful times of year in Virginia, and traveling to some of the best known places like Skyline Drive, which is particularly popular in the fall when the leaves are changing colors, is sure to take your breath away. CheapOair is offering vacation deals from Orlando to Roanoke starting at $607 per person. 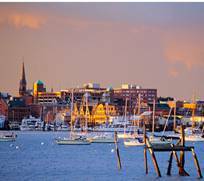 The package includes roundtrip airfare and a 3 night/4 day stay at the Hotel Roanoke & Conference Center, A Doubletree Hotel. *Sample hotel rate listed for travel from September 27 to September 30, 2013 and is based on availability; additional dates and locations available. Taxes and service fees included. Sample airfare is listed from Orlando to Roanoke. Hotel Monaco Portland, is located just minutes from Pioneer Courthouse Square where you and your loved one can enjoy a picnic watching the sunset in Portland’s favorite urban park. CheapOair is offering vacation deals from Washington to Portland starting at $1,368 per person. The package includes roundtrip airfare and a 7 night/8 day stay at Hotel Monaco Portland, A Kimpton Hotel. *Sample hotel rate listed for travel from September 27 to October 4, 2013 and is based on availability; additional dates and locations available. Taxes and service fees included. Sample airfare is listed from Washington to Portland. San Francisco may be known as the “City by the Bay”, but come autumn, its known for the beautiful colors that take over the city. Take a bike ride through Union Square to take in the breathtaking views of the city. 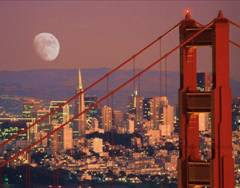 CheapOair is offering vacation deals from New York to San Francisco starting at $1,408 per person. The package includes roundtrip airfare and a 7 night/8 day stay at the Hotel Carlton, A Joie De Vivre Boutique Hotel. *Sample hotel rate listed for travel from September 27 to October 4, 2013 and is based on availability; additional dates and locations available. Taxes and service fees included. Sample airfare is listed from New York to San Francisco. Fares are round trip, Fares include all fuel surcharges, our service fees and taxes. Displayed fares are historical fares were last found on September 9, 2013 at 8:00 AM and are subject to availability. There is no guarantee that the fares will be available at the time of your search.